Hayes likes sailing on boats. Look at the map: Sydney to Sydney with a two week stop in Mombassa – he would have stayed but for some missionary perfidy – in six months travel time. Who could pass on odds like that? 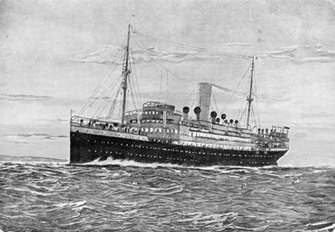 With a little money jingling in his pocket from the timber cruising on Murua, Hayes purchases passage on the Nord-Deutscher-Lloyd liner Seydlitz steaming for Melbourne joined by a throng of Australians traveling to the coronation of George V. in London and seventy “cocky” German sailors on leave from colonial island duty who constantly chafe with the Brits on board. A ship of the Nord-Deutscher-Lloyd line leaves Sydney every two weeks carrying freight to port in Bremen. 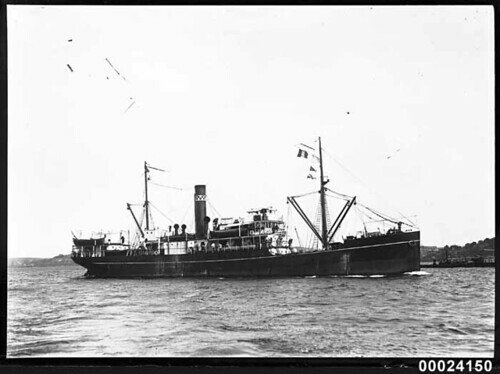 These freighters like the Seydlitz also “have a large passenger accommodation, and are cheaper and better than any of the British lines.” At Melbourne stevedores loaded frozen mutton; at Adelaide came wheat and wine; then at Fremantle they stowed jarrah wood blocks en route to paving the streets of London. At Fremantle, Hayes writes a long passage prompted by a statue in the harbor of a man he identifies only as “a man with an Irish name.” This was C.Y. O’Connor who developed the port of Fremantle and a water system to the Kalgoorlie making gold mining possible in that desolate region. O’Connor vindicates Hayes’ general view on working men: “He was not a skillful politician, had not the finesse to lie and cheat and flatter to win the applause of men. So they rode him, maligned him until he broke under the strain. One morning his body was found floating in the harbor. His mind had snapped, he could bear his burden no longer. Then public opinion turned, and he was a hero.” Hayes generalizes O’Connor’s experience: “Man is a strange animal. He who tries to save him he slays, then places his victim on a pedestal.” According to Hayes, preachers expound this same story of Christ from every Sunday pulpit. At Colombo, a group of Brits took up a collection to see if a slight present made to the German sailors might ease national relations aboard the Seydlitz. 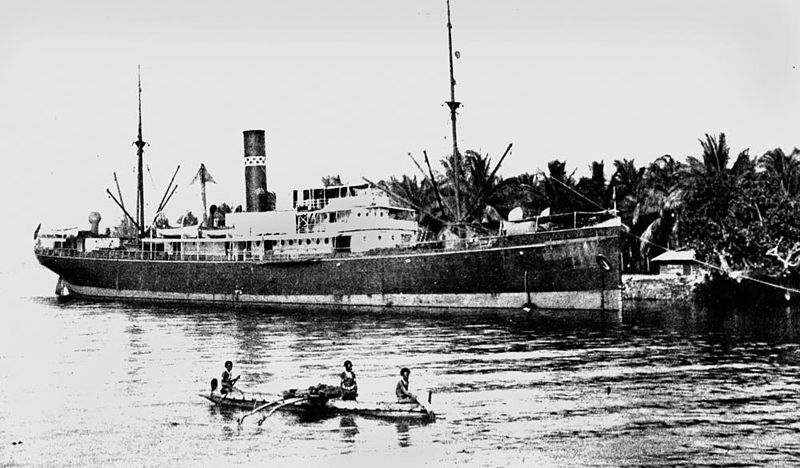 The British representatives sent to buy the gift had to be carried back on board; a suitable gift for a German sailor eluded their search through every pub in Colombo. 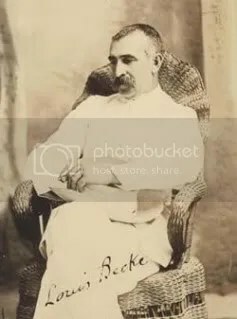 Hayes says that the bazaars of Colombo offer, “Opals from Australia … Rubies, moonstones, catseyes, jewels of every sort … at prices far below elsewhere in the world. Tiger skins, leopard hides, ivory objects, silks and all the gewgaws of the Far East are here, and many of the Occident.” The Germans declare: “We can buy our own presents,” and national sentiments continue their boil. Next a discussion with a Scottish engineer who proposes they to do some gunrunning to the Arabs fighting the Turks at Hodeida, a port up the Red Sea. Mentioning the potential profit and not the morality of his companion’s proposal, Hayes declines noting the 1,500 white troops, the regiment of Indian soldiers, and the British gunboats who would be happy to interrupt their vigilant watch for slave traders to intercept a couple of gunrunners. Hayes would prefer not to go broke in East Africa, but what work can he find? “All trading companies handle liquor, so that lets me out.” He’s a skilled farmer but here parents pay farmers from 100 to 150 pounds per year to apprentice their boys. So, he scouts around Mombasa for a few days: an old fort built by the Portuguese in 1593 still flying the flag of the Sultan of Zanzibar, a ruined city in a forest of baobabs, markets with Swahili buyers and Arab sellers – then after scarcely two weeks in Mombasa, he books passage on the British liner Gascon to retrace his voyage back to Australia. A transfer at Aden to the G.M.S. Goeben, sister ship to the Seydlitz, full of immigrants all packing pistols for the wild Australian outback – wild monsoons outside Colombo – Neptune at the equator – grapes at Fremantle – frost in the streets of Melbourne – finally back to Sydney. All very much like the voyage west. Now he’s back in motion bouncing around the east coast of Australia and cruising timber on Woodlark Island. 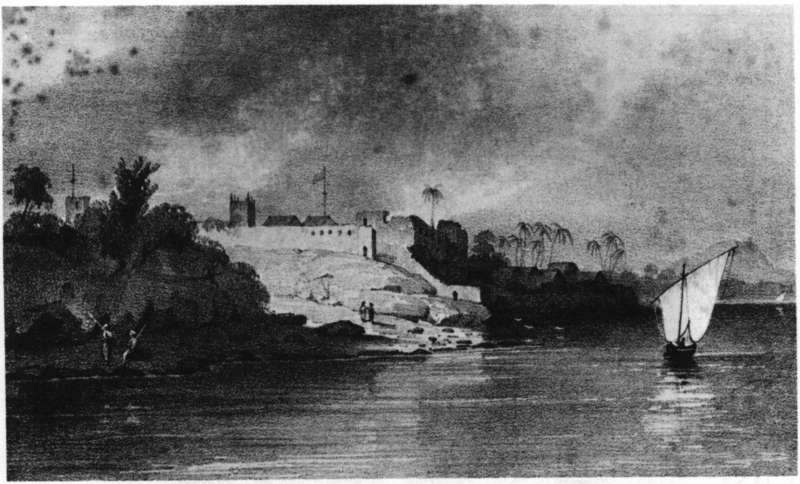 Turning South from Port Moresby, Hayes sailing with Strachan and his wife, have “ample time to plan what to do in the way of founding a new plantation.” But his diary makes Hayes’ skepticism clear: “But that is all up in the air as yet, and no one knows what will be doing before we are done. I long for Africa, my folks want me to return to the U.S.A., the company wants me to return for them.” Mrs. Strachan succeeded in smuggling tropical bird feathers hidden beneath her skirts into Brisbane, Australia despite the guilt advertised across her face. Hayes enjoys regular food and the company of a few friends in Sydney but, “All round, I like the bush the best.” He does not like “the inner council chamber” of the rubber plantation company to which the investors summoned him immediately on return to Sydney. Based on Neville’s reports, the stockholders expected immediate dividends following the arrival of the new men and the sawmill at the Sagarai River station. “I explained as truthfully and without reserve as I could what was doing there.” In response, he describes “consternation” and “consideration” among those assembled. South from Yule Island, past Samarai and through “a maze of emerald isles like those described in fairy tales,” brings Hayes back to Murua where “I am established at Gus Nelson’s, a bar and hotel combination at the village of Kulumadau.” Arriving on January third, Hayes shares Gus Nelson’s with all the broke hung-over gold miners down to celebrate the New Year. Away from the haunts of civilized society to Solongo (Suloga) Bay, Hayes camps with a scattering of gold miners while scouting “much good timber, easily gotten if so desired,” with “an old native named Doudau.” One of the miners, Slater, says he was with Bayley and Hannan discoverers of the “Coolgardie and Kalgoorlie respectively,” two of the richest mines in Australia. Each blew his large fortune. One is dead of drink, the other on the way. Though Hayes wrote earlier that he tires of wild tales of cannibals, he takes a paragraph to relate in a story from the 1870’s told by a miner Hayes knows only as Old Jimmy – Hayes relates grim detail about Papuans eating Chinese laborers gruesome beyond anything Jack London could possibly have gotten published. The investors must still be trying to salvage something out of the Sagarai River rubber scheme; Hayes bought many rubber plants for them. And the timber prospects at Murua were good enough that “I am engaged to set up the mill and oversee it, but it means nothing.” On the way south back to Sydney, Hayes wonders, “if I’ll ever see this island again.” He knows his own wanderlust – he’s been four months in this region now – quite a long time for him. At Sydney he gave an encouraging report to the investors and checked in with Strachen about the plantation proposal. “Strachan has not yet succeeded in promoting the plantation. He is much too honest a man for this business.” Well, that’s Australia and New Guinea – where to next? His premonition was right about not returning to Murua. The map for this four month period shows relatively little travel by Hayes’ standards. He’s putting together a colonial plantation site with just a few side trips to villages previously unvisited by Europeans and one longer trip to a mission at Isuleilei. Throughout his diaries, Hayes comments on the wildlife and geography of every region he visits and includes extensive observations about the architecture and religious and social organizations of the native people he meets. 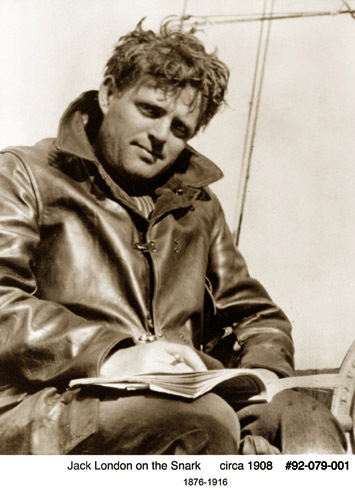 Though his descriptions are often unflattering, no doubt he regards his as an accurate record intended to offset the sensationalism of a writer like Jack London. Dense mangrove forests grow in the saltwater swamp of the Sagarai River delta. Any houses in the region must be built on stilts above tides that rise as much as twenty feet. At a place he calls Karola Creek, Hayes finds a bit of solid ground on which to build two stilted houses, one for him and a larger one for men he is beginning to hire. Within two weeks of arriving Hayes writes, “my name is good now, and I get new men constantly.” His self-restraint with the native women and his work ethic offer some explanation of how he can earn a good name in such a short time, nor does he hold himself above the men he hires. When the last sago palm frond finished the roof of his two houses, he and the men went to clear some sunken mangroves to make a shipping channel. “This required going into the water with the crocodiles, and as it seemed hardly fair to set the natives at it and me on the safety of the shore, I went in too. One of us stood guard constantly with the rifle to fire at any croc, but the singing boys frightened them away.” Canoes arrive daily with men looking for work thereby saving Hayes the six pounds other Europeans must pay to recruiters. “New Guinea must be the aviary of the world, for there are thousands of bright plumaged birds about me constantly”: the iridescent bird of paradise, red bird of paradise, parrots, several species of pigeons, the flightless cassowary, water birds, waders, swimmers, even the megapodes laying their eggs in giant mounds of trash. Though he has not heard of the platypus seen here, the other animals he sees: wild pigs, kangaroos, opossums, bandicoots, and even echidna suggest to Hayes recent union with the Australian continent. Work on the station proceeds well enough with his crew that Hayes can take a day now and again to wander the nearby mountains visiting “several villages where white men have seldom gone.” Not above some Jack London style exoticism he says that he laughed “to see the women nursing small pigs or pups at their breasts.” Full-grown sows roam the village “pugnacious to all but the immediate family” of their “foster mothers” right up to the moment they go into the stew pot. photo by H.P. Schlenker missionary. USC digital libraries. 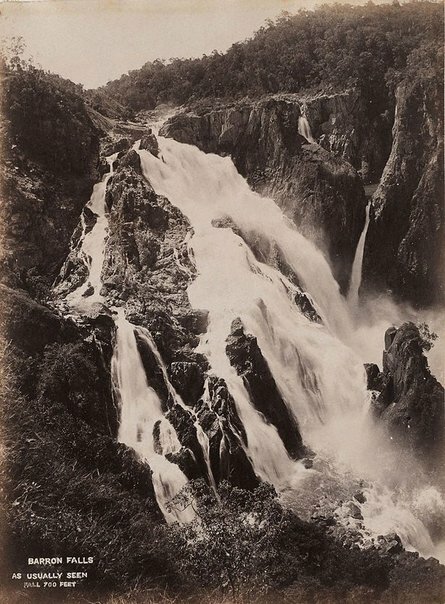 On July 16th, about a month after Hayes arrived at the Sagarai River, Neville, the promoter of the rubber plantation, paid a visit “and he [Neville] realizes he has misrepresented the potentialities of the proposed plantation to the investors.” Nevertheless, a sawmill and several white men from Australia have arrived to further the project. The sawmill is useless and the men are worse; all have come in search of “sensual bliss” with the Papuan women, touching off the jealousies of Hayes’ native workingmen. Strachan, Hayes’ immediate supervisor on the rubber plantation project, can also see Neville’s swindle unraveling. There are no rubber trees here – but coconuts would grow. Strachan and Hayes take a side trip down to the London Missionary Society station at Isuleilei harbor where Strachan proposes that he and Hayes dump Neville and start a plantation of their own. Strachan has wide acquaintances in Melbourne who will back the endeavor. Hayes knows he can manage the work and Papuan men – could he consider the prospect of owning a plantation? Mission House Kalaigolo, New Guinea circa 1908-1910.
photo by H.P. Schlenker (who served at Isuleilei until 1900), missionary. USC digital libraries. 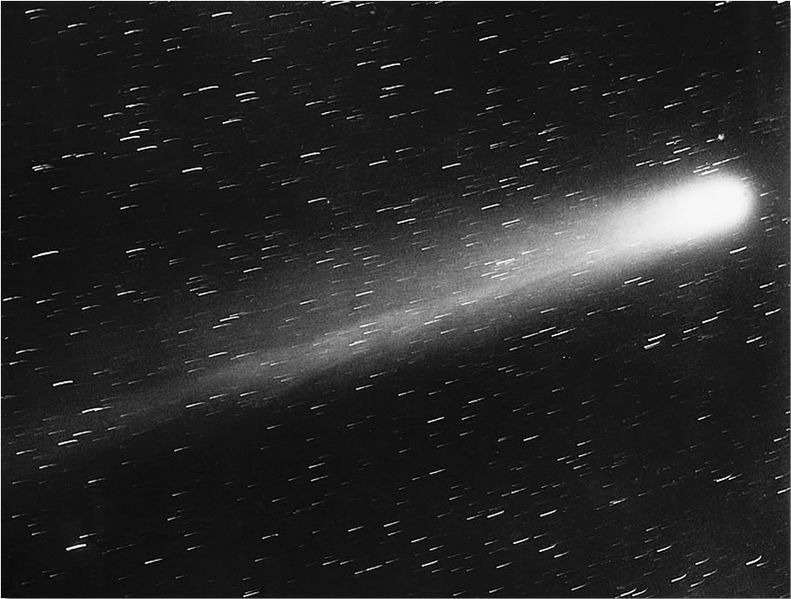 By the middle of September Halley’s comet has about run its course and the profligacy of Hans, Percy, Andy et al, together with the beatings by other managers have ruined any prospect of maintaining a Papuan workforce in the area. How quickly the idyll of establishing a worksite in the good company of only native workmen is fouled by the ways of the foreign workers arriving to take up station there – time for Hayes to be moving on. Broke and heading alone on foot into the bush on Papua New Guinea. 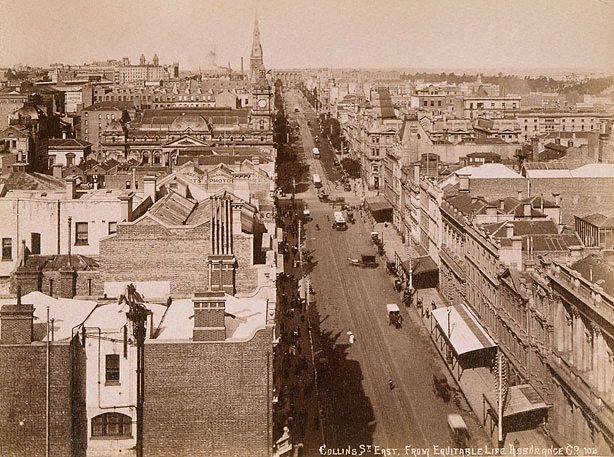 Never a man for cities, after ten metropolitan days Hayes writes: “Am about satiated with Melbourne.” Sydney has more appeal for him; it will be easier to get into the bush from there. A trip to the museum immediately followed by a tour of the red light district in Melbourne touched off a pensive passage. 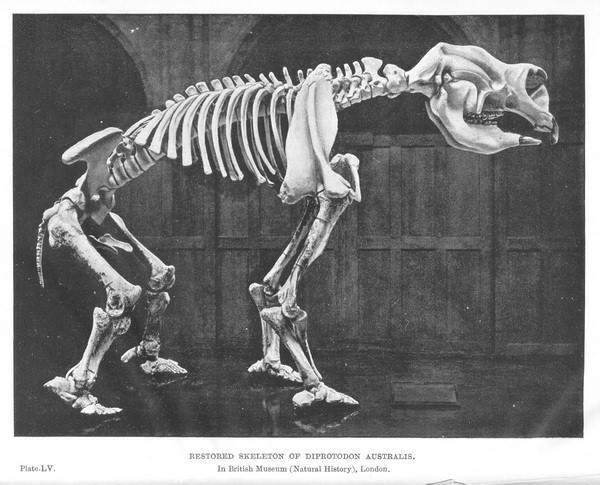 At the museum Hayes saw the skeletons of the extinct diprotodon followed by those of the Wooreddy and Trugannini, the last of the native Tasmanians. 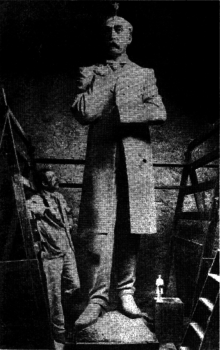 At Sydney, Hayes takes up temporary residence at a Salvation Army hotel called the People’s Palace, “the largest hotel in the in the Antipodes.” The one-hundred rooms of the palace house too many men for his comfort so Hayes quickly transfers to a family boarding house where he bunks with only Carter, “a man from the back blocks of Queensland, near the Gulf of Carpentaria.” Hayes has heard of rich opal strikes up that way, but Carter warns him off: that area is poor, sparsely populated and almost unexplored. Carter says a smart man would try Cairns where there is lots of work in the sugar mills. 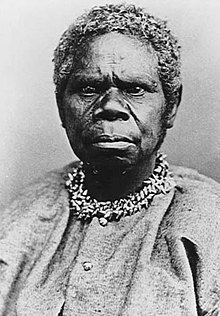 On the passenger list of the Makambo Hayes reads the name Young who are missionaries and plantation owners at Bundaberg. 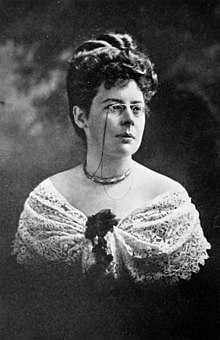 When he “chipped in a sovereign for the work,” Miss Florence Young approached Hayes to tell him “She sees how the Lord has laid it upon me to run their small sailing craft between the islands picking up copra and trade, receiving nought but my keep.” He agreed to the work “if she would give me what the secular trading and planting companies did.” No sale. Dinner Island, all of its 54 acres, received the name Hayes recorded when Captain John Morsby paused there for a meal in 1873; maps now call it Samarai Island. Perhaps two miles across a small strait surging with great tides Hayes can see the mainland of Papua New Ginea. At Waga Waga, the orchids, coconut palms, frangipani, hibiscus, coral sands, and bluest sea elicit from Hayes, “What a marvelously beautiful land!” As usual, for Hayes the beauty of the natural world exceeds that of its human inhabitants: “Many are not unprepossessing, but others are hideous.” He goes on for two paragraphs: piercings, distended earlobes, betel nut, sipoma, hair died red in enormous dreadlocks, etc. On the walk overland to the Sagarai River, Hayes amazed the native porters by taking onto his own back a load from an exhausted man, “for such a thing as a white man carrying a load is unknown. But we did it all in Alaska.” At the 6,000-acre prospective plantation, Hayes finds constant rain and no solid ground on which to build. “All the natives seem half wild” – especially the women – which Hayes says, “gives one suspicion of the attitude of the general run of the Europeans toward the native girls and women, and these people are extremely jealous.” Fortunately, the natives speak an understandable English jargon and, by toting the pack, Hayes has made a good impression on them. It’s June, it’s raining, Hayes, a lone “European” in the bush, is already gaining the trust of the native workers – and he’s about to discover, little to his surprise, that the rubber plantation is an investment swindle. Hayes writes with reference to the low quality ship he finds headed to Australia: “But somehow it is the sea. I love it even as it is.” The map shows another long eastward jaunt. I’ve also included a link to download a google earth global map of the first six segments of volume 2. The map centers on the Western United States with long arms reaching east and west. As he expected, Hayes found a ship bound for Australia out of Eureka – a dubious one called “The Foxley, an English tramp whose men are either in jail or else fleeing to the woods to escape the ship.” In the year-and-a-half knocking about the western US after rowing down the lower Yukon, Hayes recovered his health and spirits but not his finances. In order to get to Australia he needed to sign on as a sailor. He knows the Foxley “must be rotten” to cause all the desertions; furthermore the mate warns Hayes the captain will never pay him off in Melbourne regardless of the captain’s promises. The chief engineer agrees with the mate: “He won’t do it.” (Hayes’ quote.) But doesn’t an adventurer has to “take a long chance” now and again? “It doesn’t look good,” but there she sits: docked at Eureka ready to sail for Australia. “There is no other ship,” – none of the better ships sailing to Australia need to replace fleeing seamen – and besides, the constant drizzle at Eureka drives Hayes to distraction; he convinces himself that if the Foxley is bad at least she’ll be warm and dry sailing south. No one told Hayes about coaling the Foxley before the long run across the Pacific. Leaving Eureka, the Foxley sailed straight north to a coal stop at Nanaimo, British Columbia with snow and “a thin shim of ice on the bay.” What’s more, eight days out of Eureka, the captain had yet to formally sign Hayes onto the crew. Nevertheless, the captain was willing to give Hayes plenty of responsibility. Right before sailing into Nanaimo, “The tides are strong, the currents tremendous coming into the Gulf of Georgia. I was at the wheel running the narrows down at the lower end two days ago, and it was all I could do to get the wheel over in time to miss the next rock.” The captain must have been impressed with Hayes’ seamanship. He formally signed Hayes onto the crew (this time swearing to pay him “a pound more than these stiffs I have in here now’) and renewed his promise to pay Hayes off the ship at Melbourne. None of the officers believe the captain will keep his word. They scoff at Hayes’ gullibility but keep him at odd jobs around the bridge to hear his tales of the US, Africa, and the Yukon. At Astoria, lumber jacks load the Foxley with a mountain of ice-rimed timber: maximizing profit for the long run to Melbourne that caused Hayes “fear for the ship’s safety because of the high deck load.” Immediately out from the mouth of the Columbia, the overloaded ship ran into “one of the worst storms I have ever seen.” The ship creaked and groaned, wandering about the compass, taking breakers over the forecastle while alternately listing thirteen-degrees from one side to the other. The storm blew at them all the way to Alenuihaha Channel between Maui and Hawaii – a wild ride, but at least the rain driven from the southwest fell warm. You are currently browsing the Hayes Here and There blog archives for April, 2012.